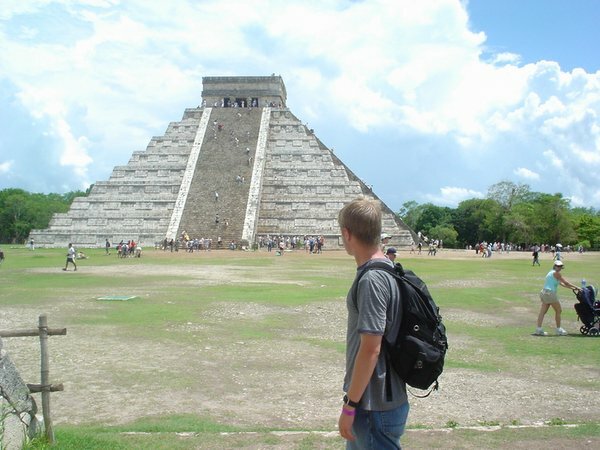 Rob exploring Chichen Itza in southern Mexico. Hi! My name is Rob and I am the senior developer at Maneo Web. I have a reputation for being honest, trustworthy, and very good at what I do. I have been building and fixing websites for more than 10 years. Because of my wide ranging experience, I can work on just about any platform that you throw at me including WordPress, Wix, Drupal, Joomla, and many more. My clients love me because I teach them how to use their websites through colorful screenshots and phone conversations. I also have experience with audio/video editing and copy editing. If your project is on the web, I can help you make it look even better. That’s a promise. When I’m not working hard on the web, you might find me exploring historical sites in Asia and Central America. Click here to read a short book I wrote about an exciting adventure in Mexico (free for Kindle Unlimited subscribers). I have recently completed a Master’s Degree in Project Management. Please give me a call or text right now at 918-766-9699 or click here to send me a message. I am based out of Tulsa, Oklahoma but I serve clients around the world.